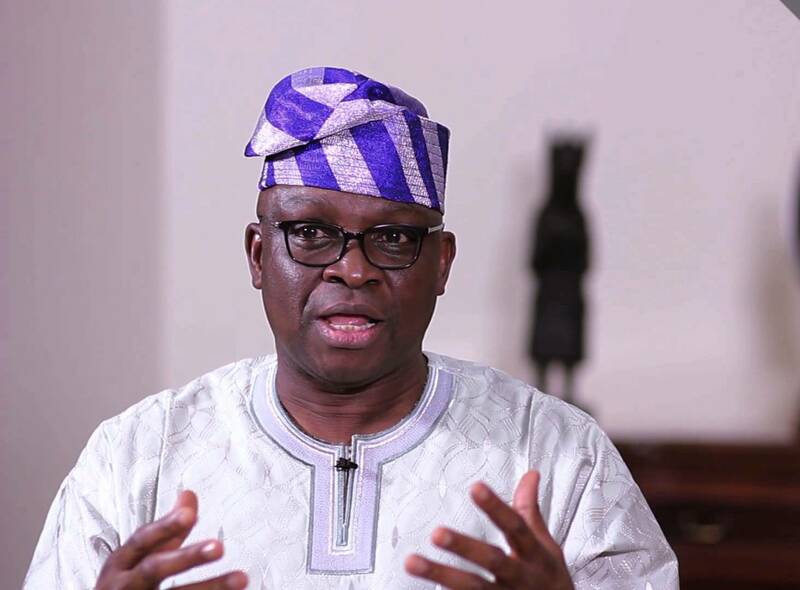 N'ụlọ AKUKO UWA BUHARI EMELA NDI EFCC, NDI UWEOJII DIKA NKITA EJI EBUSO AGHA—FAYOSE. BUHARI EMELA NDI EFCC, NDI UWEOJII DIKA NKITA EJI EBUSO AGHA—FAYOSE. Aka chịbụrụ steeti Ekiti bụ Ayodele Fayose ekwuola na onyeisiala bụ Mohammadu Buhari emela EFCC dịka nkịta òtù pati APC ji ebuso agha. Fayose kwụpụtara nke a site n’igwe nzịrịta ozi ọlọrọ ọhụrụ ya . Ọ gakwara n’ihu kwuo na ojụjụ Buhari jụrụ ịbịanye aka n’akwụkwọ iwu gbasara ntuliaka elu gosiri n’uche ya adịghị na ime ntuliaka n’enweghi nrụrụaka n’ime ya. Fayose kwụrụ si “nwoke gbanwerela òtù niile gọmenti nwee ọkachasị EFCC na ndị uweojii dịka nkịta eji òtù pati APC ji ebuso ndị ọzọ agha”. Fayose alleged that Buhari has turned the EFCC a security ‘dogs’ of the All Progressives Congress, APC. The Peoples Democratic Party, PDP, chieftain made the claim in a series of tweets. He also stated that Buhari’s refusal to sign the Electoral Act was an indication that he was not interested in free and fair elections.